Bigg Boss 11 Voting (Online Poll) Details – How to Vote Online? Here is the complete details about Bigg Boss 11 Voting process steps and method: The much awaited eleventh season of Colors TV Bigg Boss reality show has been started on 1st October 2017. The online poll for weekly eviction nominees will be available on week day. Viewers can cast their vote in www.voot.com to save favorite contestant in the show. Bigg Boss Voting season 11, Online Poll step by step, app method, Eviction Details. Big Boss 11 to play in grand house in which 18 contestants to compete each other for the title. The most controversial television show ever in Indian television history is getting popular every season. Salman Khan will host the show during weekends. In the show, Every week housemates will nominate unfit contestant for eviction and they will be featured for public poll. Viewers are eligiable to vote in Voot.com official website and Voot mobile app. To know more details, follow below steps for bigg boss 11 voting. Week 15 Big Boss 11 VOting – For the last week of bigg boss, five contestants battle for title. 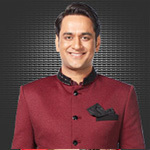 Vikas Gupta, Hina Khan, Shilpa Shinde Akash Dadlani and Puneesh Sharma are the list of participant who are in finals of season 11 of bigg boss show. People can vote their favorite contestant for helping them win the title. Official online poll available from Monday 11.30 PM to Friday 11.30 pm every week. The eliminated contestant of the week will be announce during weekend by Salman Khan. Check out below for full list of Bigg Boss season 11 Contestants. Find all celebrity name, profession and contest status details. Here is the full list of eliminated participant from Bigg Boss season 11 (2017). 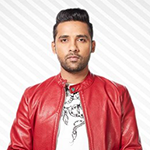 Week 1 Eviction – After involved in too much fight with other contestants, Zubair Khan has been eliminated from the show during week 1. He got lesser number of votes in public poll then other nominees Shilpa Shinde, Bandgi Kalra, Jyoti Kumari and Arshi Khan. 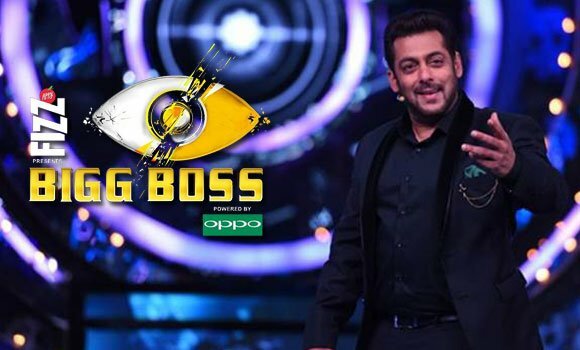 As per the rules and regulations of big boss season 11, Viewers can vote for eviction nominees through two methods, by online Internet method and Application method. The program is the reality game show in which participant stay in the house will be nominate other housemate for eviction every week. During this process, Viewers are asked to vote for shortlisted eviction nominees to save their favourite housemate. The participant with lesser number of vote will be evicted from the show each week. How to Vote for Bigg Boss 11 Eviction Nominees? Viacom18 has introduced mobile app voting mechanism for the first time in Big boss show for season 11. To know how to vote from Mobile app – Follow below steps. – The viewer needs to mandatorily download the Application (iOs, Android and windows) to cast his/her vote using the Application Mechanism. Details. If you have any more doubt regarding voting process then comment below. For more latest news and update check out www.scooptimes.com.